Canadian Forest Industries had known for several years that Canadian logging contractors were struggling financially. What they could not pinpoint—and no one else in the industry could either—was exactly how much they were struggling. It was common knowledge that most contractors had taken rate cuts to help the forestry industry through the 2007–2011 recession in U.S. housing. When the industry finally recovered from 2012 onwards, it seemed that contractors were being left behind but there was no hard data. Canadian Forest Industries‘ audience is comprised of independent small- to medium-sized businesses, who simply didn’t have the resources or associations to collect the comprehensive data required. So the magazine decided to tackle the project themselves: they thought it would provide several months’ worth of exclusive online content to drive traffic, followed by a formal report. In a best case scenario, the CFI team hoped their findings would make an impact on the debate about the profitability crisis happening between the industry, the government and the contractors. 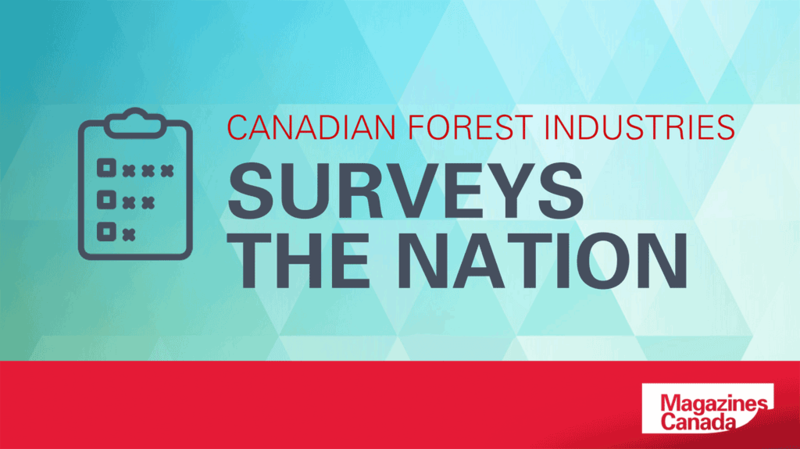 Group Publisher and Editorial Director Scott Jamieson and Canadian Forest Industries Editor Maria Church led the charge in launching the exhaustive readership survey to get feedback on the current state of the forestry industry in Canada. After receiving the final data, the CFI editorial team combed through it for themes and angles, ready to analyze the results and turn the data into multiple forms of content. When they started reviewing the data and brainstorming how to share it, it became clear that a multi-media, multi-step approach was best. The team did a gradual content rollout from June to October 2016. 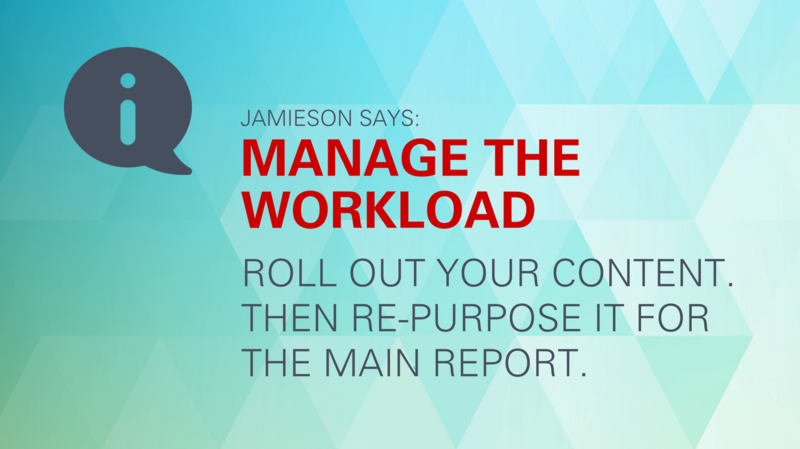 This slow trickle helped build momentum around the survey results and garner feedback, and allowed staff to manage the survey workload around their regular duties by staggering the work. They began by launching a weekly 15-part web series with each short piece focused on a key finding from the survey, such as “Real world logging profits,” “Machine operator earnings,” “Operating cost trends,” and “Fleet replacement plans.” Each installment was promoted to CFI‘s 16,000 e-news subscribers and on their Twitter and Facebook feeds. Canadian Forest Industries also ran a longer regional report every few weeks on Canada’s main forest areas to show their audience how their region was doing relative to prior years and other regions. After releasing the 15 themed reports and regional reports digitally from late June to late September, the team created a three-page summary article for the magazine’s October 2016 issue. Additionally, they produced a video segment that featured CFI editor Maria Church and anchor Tamar Atik sharing key findings from the survey data. The CFI survey results were also shared in industry presentations at OptiSaw 2016 in Vancouver, and another at the Truck Loggers Association AGM in 2017. Finally, the CFI team produced a 56-page final report. This combined all 15 thematic reports, the five regional reports and an executive summary in a single volume, along with quotes from loggers across Canada. It was released in October 2016, in conjunction with the October 2016 summary article. Scott Jamieson and Maria Church worked together to create the survey, and then solicited feedback from a few logging associations, with the Truck Loggers Association in BC acting as a main partner. The CFI team threw everything they could think of into the survey questions and then used timers to whittle it down to a 15-minute survey. They also worked with third-party research firm Bramm & Associates to vet the survey, to ensure that their questions would produce usable data. All told, it took CFI under two weeks to produce the entire survey in English and French. The research firm had a final report to CFI by mid-June. The editorial team then spent a week reviewing the results and planning how they’d roll them out to their audience. 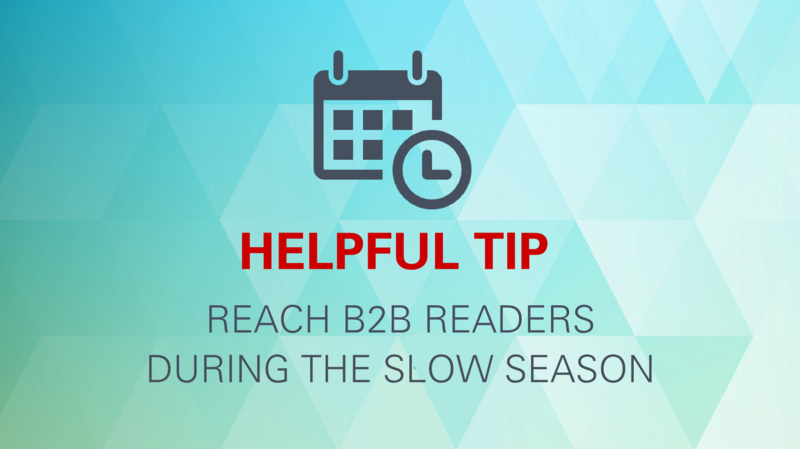 Initially, the magazine was worried that the length of the survey would limit the number of complete replies. 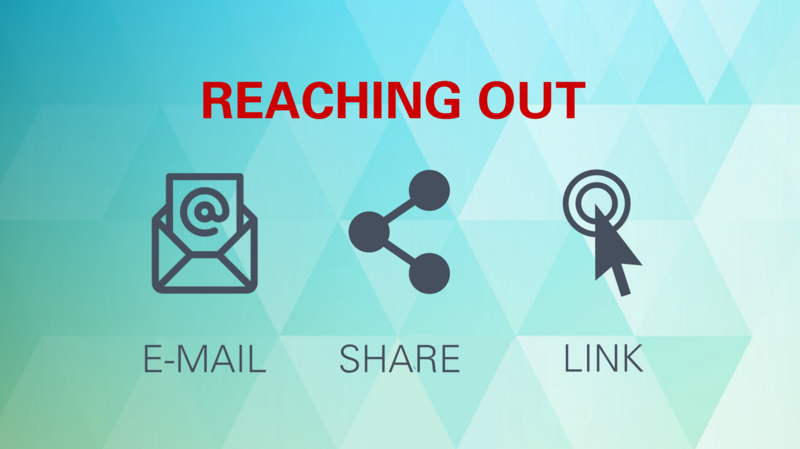 They decided to reach out to their target group directly through CASL-compliant emails, social media (Twitter, Facebook, LinkedIn, Instagram), and popular industry websites. Fortunately, the group of logging contractors that CFI was reaching out to were highly motivated. The contractors genuinely wanted to know the state of the industry. The survey also received a vote of support from the largest logging association, Truck Loggers in BC, who encouraged members to take the time to complete it. Time management was a major challenge for the CFI team on this project as they were adding a large assignment to an already busy editorial staff. 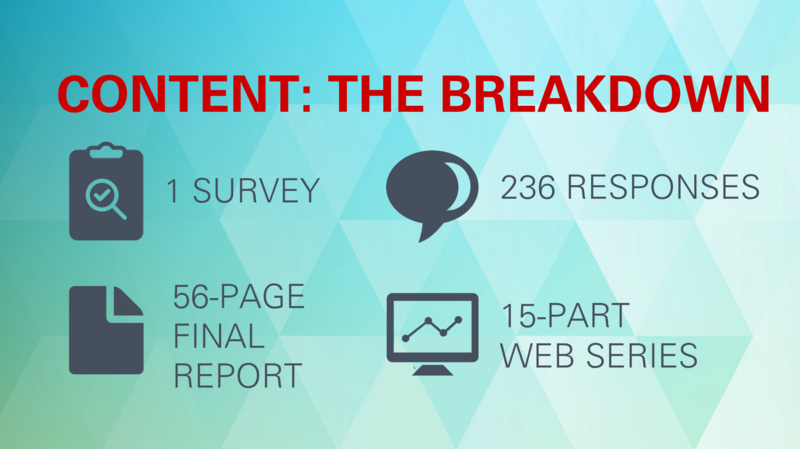 Using a third-party research firm to vet the survey and create the initial report was crucial, both for credibility and workload. Jamieson also notes that executing a successful survey requires a skilled editor who is comfortable manipulating data and finding the story in the numbers. Research is one area where magazines can make a meaningful impact on their market, especially for business media markets and brands. Industry magazines are one of the few organizations within a sector that can provide an unbiased perspective on pressing industry issues. To help finance these projects, Jamieson recommends finding sponsors to pay for the research. For CFI‘s survey, Hultdins, Stihl, Tigercat and Ponsse were sponsors and the work was supported by the Ontario Media Development Corporation (OMDC). Jamieson also recommends talking to stakeholders in your community to see what information would be most useful, testing the surveys with them, and giving a lot of thought to how the information will be used. For example, in the CFI survey the print magazine was a relatively minor player, with the majority of content produced for online, digital and social channels. He also recommends using free charting software online that can turn numbers into graphs and charts in a few minutes to avoid getting bogged down in the graphics process. The production department can then create high-end versions of the graphics chosen for print. CFI released a follow-up survey in April 2018, which they hope will allow them to start analysing industry trends in the data. Using a similar content marketing strategy as for the 2017 survey, CFI plans to increase their use of social media for the 2018 survey outreach and eventual results sharing. The magazine’s ultimate goal is to produce a similar survey every two years. 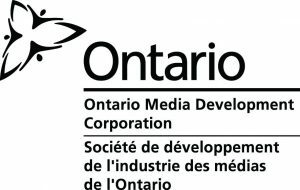 This Showcasing Success case study was made possible with the support of the Ontario Media Development Corporation.